Providing you the best range of churan stick making machine, automatic churan stick making machine, automatic borkut stick making machine and fully automatic churan stick making machine with effective & timely delivery. You Can Make Borkut Stick On Bamboo Stick As Well As Plastic Pipe. Specially Designed For Borkut Stick Making From Ber Powder. We are a trustworthy organisation in offering a wide gamut of Automatic Churan Stick Making Machine. You Can Make Borkut Stick On Bamboo Stick As Well As Plastic Pipe. 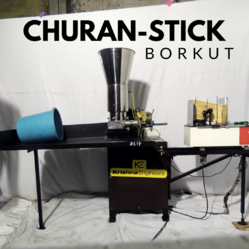 We offer Automatic Borkut Stick Making Machine. You Can Make Borkut Stick On Bamboo Stick As Well As Plastic Pipe. You Can Make Borkut Stick On Bamboo Stick As Well As Plastic Pipe. Specially Designed For Borkut Stick Making From Ber Powder. 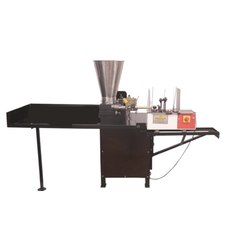 Looking for Churan Stick Making Machine ?